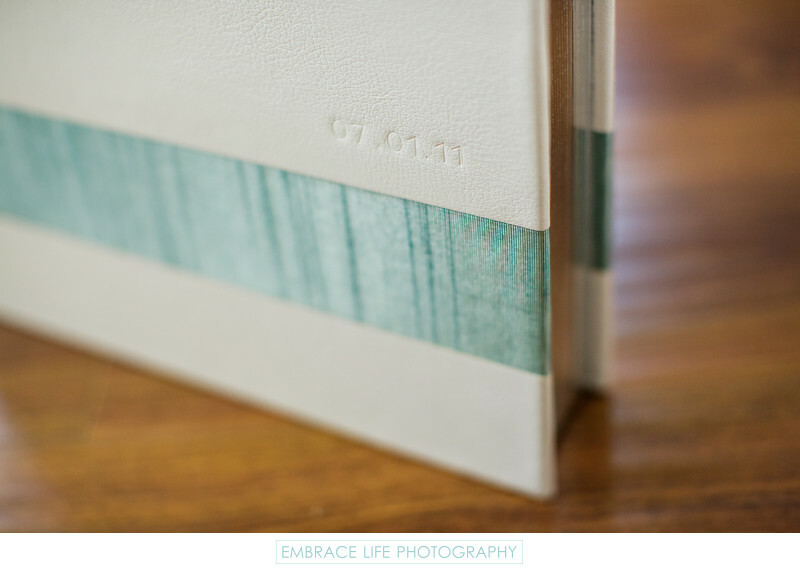 Focused on the subtle, blind debossed wedding date, this detail photograph shows an undeniably pretty Hand Crafted Elegant Album cover in white, genuine leather with a horizontal strip of aqua Japanese bookcloth and silver page gilding. The interior pages of this Westlake Village wedding photography album are styled with white mats and ivory liner, for a clean, fine art photography style presentation. Location: Westlake Village, CA 91361.